Sean Riehl has taught massage nationally, presented at the AMTA California conference and has written multiple articles appearing in Massage Magazine and the Biotone Newsletter. He is the author of many instructional massage and bodywork DVD programs including: Deep Tissue and Neuromuscular Therapy, Beginning and Advanced Myofascial Release, Lymphatic Drainage and Anatomy and Pathology. 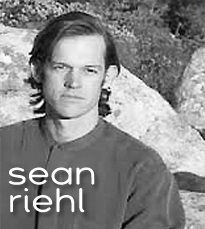 Sean has practiced bodywork since 1990. I decided to go to massage school in 1991. I had gotten the book "Hands of Light" and discovered energy work. I realized I should get some certification to be able to do energy work on people and charge them money. I didn't really expect to learn much in massage school - I just wanted to practice what I had learned in the book. After the first class, I realized I had so much to learn. After a few classes I became interested in anatomy and injury work from a very clinical, technical perspective. This was exactly the opposite of why I had entered massage school. I feel that the combination of anatomically accurate massage and the energy work perspective make the most perfect blend to helping clients find healing and recovery from injuries. 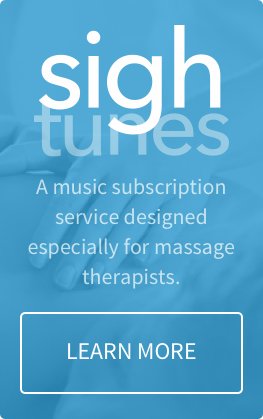 I enjoy the fact that each client is unique, and that as a practitioner, I can keep learning throughout my practice. Which part of the body do you find the most challenging to work on? Knees and ankles can be difficult since they are weight bearing. Even if you release the tissues, the clients are constantly using the muscles, so they take longer to heal. Shoulder and neck injuries seem to heal the fastest because the muscles are not constantly under strain, and the effects of the bodywork in those areas seems to last longer. What advice you can give to new massage therapists who wish to make a career out of it? Remember that you are communicating to the body below the level of the persons mind. The body's language is one of movement, pressure, stretch and resistance. Your bodywork session is a conversation with the body using this language. 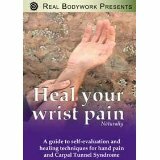 Really slow, steady and rhythmical styles of bodywork communicate healing the best. ie- go really slow during your session. If you are doing fast strokes- you are trying to talk to the body using your mind- you can't force it. Do the work really slow. Static, sustained pressure and an attitude of patience will allow the body to heal the best. When working on clients with injuries, you should learn to test the area, work and retest before the session is over. That way you can see if the "conversation" that you are having with the body is working. How do you see the future of massage therapy? There is a trend toward more education and more clinical training and anatomical knowledge, which is great. Unfortunately, if it is not coupled with patience, presence, and a sense of compassion, we may have a lot of bodywork "technicians" instead of holistic practitioners. I see some schools forgetting to nurture the presence of the practitioner as a healing modality.